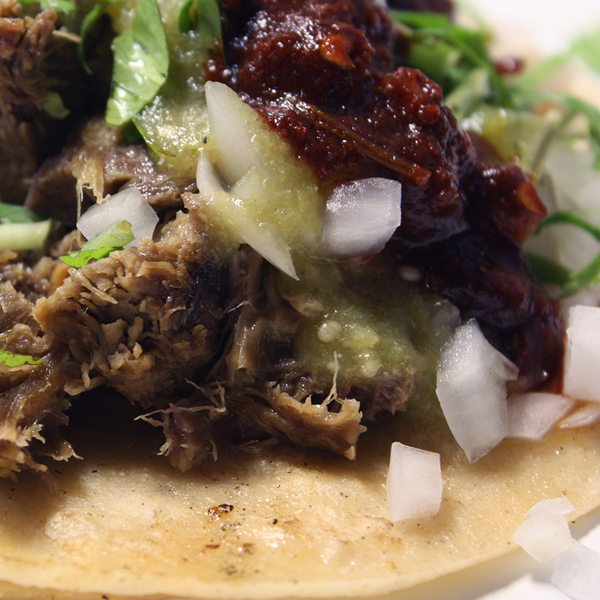 "Great cheap street tacos cooked on the street (parking lot actually). Lengua, chorizo, or tripas. Even more exciting if you go late at night. You might get in a fight or stabbed, but believe you me it's worth it!"